In 1724, Jethro deeded “all my farm… houses, buildings etc.” to his son Benjamin. 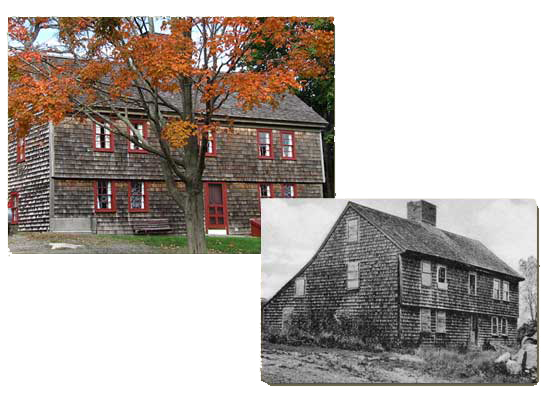 Benjamin, is turn sold the property to his son Benjamin in 1769. Benjamin Jr. in 1792 deed the western part of the Old Castle to son John Dane Wheeler ” in consideration for 28 pounds expended and laid out in building a back lean-to or long kitchen room the whole length of my dwelling house.” We know, therefore, that the lean-to and kitchen fireplace were built almost one hundred years after the main part of the house. © Copyright 2009-2018 Sandy Bay Historical Society • All rights reserved.